If you are looking for lightweight running shoes, but aren't sure where to begin, have no fear. We've compiled a list of the top minimalist running shoe reviews to help you understand the good- and the bad- about some of the most promising shoes on the market today. Always remember that when searching for a good lightweight running shoe, what works for one person doesn't always work for the other. Pay attention to the reviews for information about heel or midfoot strikes, and whether or not a shoe is good for pronaters. These shoes are fantastically light at 6.4 oz, and with a 10mm drop, these shoes were built for the road. 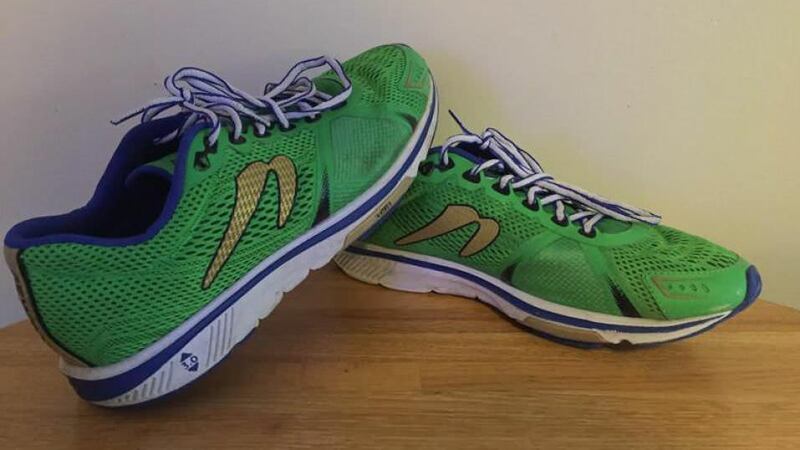 They are excellent for long-distance racing, and have a great balance between cushion and flexibility. Well, at 10 oz., they aren't exactly light. There are a few things wanting, but it's a fairly good shoe, at a very reasonable pricepoint. If you've got the money, shop around for a better shoe. If you're on a tight budget however, this could be exactly what you're looking for. At 7.3 oz, and with a stack height in the heel of 24mm, you almost wouldn't believe that they could make a shoe this light, that still has this much cushioning- but they did. If you're looking for a cushioned running shoe that's still lightweight, this is your shoe. At $90, it's a great price point, and an all-around good shoe. It doesn't provide any extra support or cushioning, and it barely makes the cut as a lightweight running shoe, but it's a good basic road shoe for training or everyday use. A secure shoe with plenty of room in the toe box, this shoe is a very comfortable fit for long distance road races, or as a training shoe. If you were a fan of the GOrun Ride 4, this shoe measures up well! If you're looking for lightweight, cushioned, and great for a trail run, this is the shoe for you. With great traction, support, and durable uppers, it weighs in at 9.5 oz. While it's on the higher end of lightweight, it's because it still has all of the stability and protection of a great trail-running shoe. A good support shoe with medium cushioning, and weighing in right around 8 oz, the Mizuno Wave Catalyst is a good choice for training. 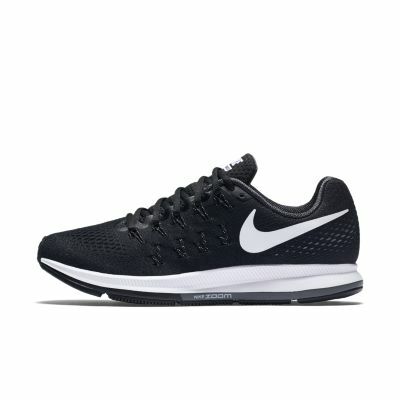 This is also an ideal shoe for people that need some support, but prefer a lightweight shoe for training. This shoe has repeatedly come in with great reviews for comfort, stability, style, and feel. However, with a hefty price tag of $175, multiple users have complained about the durability. 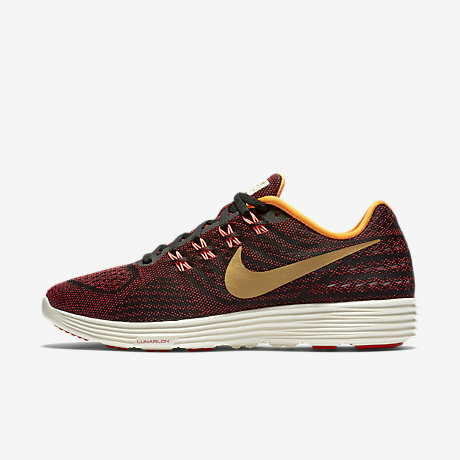 That said, if money isn't a problem and you can replace them regularly, this is an excellent shoe for running. It doesn't offer much support, but that's because the focus is on the weight and flexibility of this lightweight running shoe. With a comfortable and snug fit, numerous runners have been pleased with the Free Run Distance shoe. In the middle of the lightweight range, at 7.7 oz, this is a fantastic shoe. Consistently rated as the top Mizuno running shoe, it also ranks as #5 in overall competitive shoes at www.runrepeat.com. Great road shoe with good support and stability. Just barely makes it in as a lightweight shoe, but as a training shoe and an all-around runner for most people, it's worth keeping on this list. A good, lightweight training shoe that definitely counts as lightweight. Some users complained that the upper is a bit stiff, but those looking for a bit of extra support found that to be a bonus. A firm but responsive midsole with a comfortable fit is a great choice for runners looking to transition from a more cushioned shoe to a more minimal shoe. It's lightweight, and at $100, it's a good bargain for a quality shoe. Most people weren't expecting much as previous versions of this shoe received mediocre ratings, but many people were surprised. The shoe offers cushion and comfort, along with support and stability, good breathability, and all in a lightweight package. Prepare to be impressed as this shoe delivers more than you were hoping for. With an incredibly breathable upper, this shoe is your go-to for summer runs and hot climates. It's lightweight, fast, and everything you need- if it fits your budget. At $140, it's a bit pricey. This is a brand new release for Brooks Running this year, and they've turned the design standards upside-down. This offers a responsive and bouncy running experience with a supportive upper. It does get a bit warm with minimal breathability. It falls into the “technically” lightweight, though it tends toward the upper end. It's got some light stability, and it is fast! 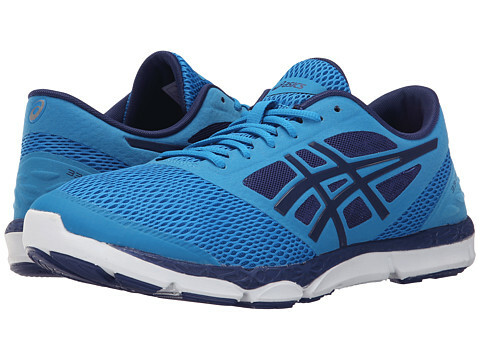 With a comfortable and breathable upper, there's a reason it's one of Asics higher priced shoes, at $120. A versatile shoe that is durable and fast, it will work for both short and long distance runs. The best part is that it is reasonably priced at around $100. It's a great shoe for the money. 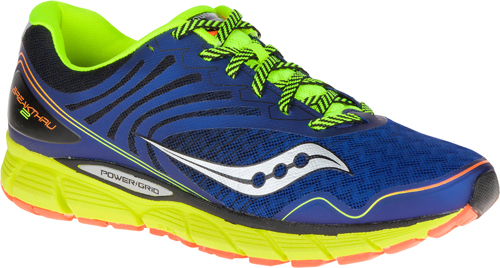 Kinvara continues to be one of Saucony's most popular lightweight running shoes, and for good reason. It's got an almost 30mm heel stack, but weighs in at less than 8 oz. It has all of the cushioning you could want for comfort, and manages to stay fast and light. A lightweight cushioned shoe that has a durable upper, and is great for a road run. It's got a good secure fit, and is a great lightweight running shoe for shorter distance road runs. A snug shoe with light support, this is a great lightweight running shoe for everyday training and road running. It's versatile and looks great, and the best part is the price tag. At $60 suggested price, it's a steal. There are several online retailers selling it for under $40, and as of today's date, you can find several colors and sizes on Amazon for $30. We've included the Pegasus even though some sizes do top out over 10 oz., mostly because several recent versions have been true lightweights. Many runners are pleased with the return to the more solid feel that was found many years ago, that made the Pegasus such a popular shoe for so long. A great shoe for a mid-striker, and works well on many different kinds of terrain. They wear out a bit in the lugs, but they are decently priced, so many people will be willing to overlook that. 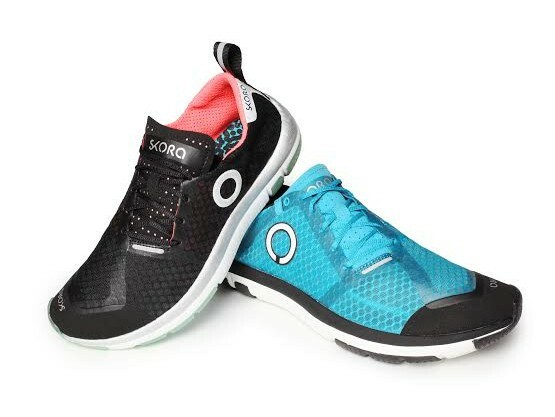 The Skora Tempo is known for being well cushioned lightweight running shoe, while still maintaining a zero-mm drop. With a very breathable upper, and lightweight feel, these are perfect for long distance running. As the name says, this shoe is perfect for a trail run. It's a very smooth lightweight running shoe, with a breathable, yet durable upper that is great for protecting your feet on uneven terrain. With it's one-piece, breathable upper, this lightweight running shoe is fast, and manages to be both cushioned and responsive. It's super-flexible, remarkably comfortable, and it looks great! This shoe is incredibly lightweight; less than 6 oz! While it doesn't have much in the way of arch support, it's got significant cushioning for what it is, and is very breathable. Great shoe for regular training or racing, but it comes with a hefty price tag of about $150. One of the more expensive of the lightweight running shoes, it barely makes the cut at 10 oz even. It's got plenty of padding and is known to be one of the most comfortable shoes on the market, but at $160, it's not flying off the shelves. 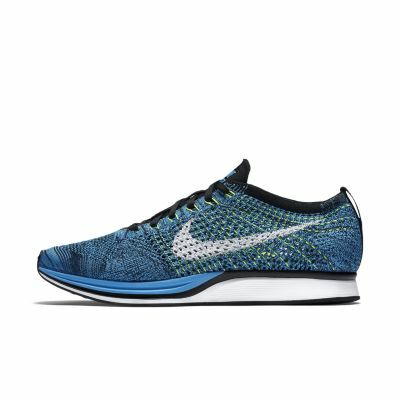 If it were more reasonably priced, this would likely be one of the more popular shoes out there. Made for long distance and training, this is a great shoe with a narrow mid-foot and generous toe-box. It's a unique fit that may be great for some runners that are having trouble, and they've got a well padded heel for added comfort. One of the best things about it is the price; at $70, it's definitely worth it if you've got a narrow midfoot. Whats wrong with you ALTRAS with wide toe box should be in there somewhere. By far the most comfortable shoe on the market.